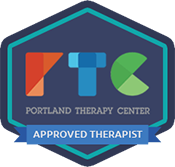 I offer therapy for adults, teenagers, children and families. My fees are $90 for 50-minute sessions and $130 for 80-minute sessions. I do not accept insurance at this time. I accept cash, check, and major credit cards. I offer a limited number of sliding scale slots for clients who are experiencing financial hardship. If this sounds like you, please contact me and I will provide more information on my sliding scale. After you contact me, we will arrange for a free 20-minute consultation. Together we will determine if I am a good fit for you, your child, or your family. I wish to make this as straightforward and stress-free for you as possible. After our initial discussion, the choice of whether or not to continue is entirely up to you. Before our initial in-person session, I will send you forms to complete. Completing these forms before we meet allows us to spend more time during the session exploring your needs.